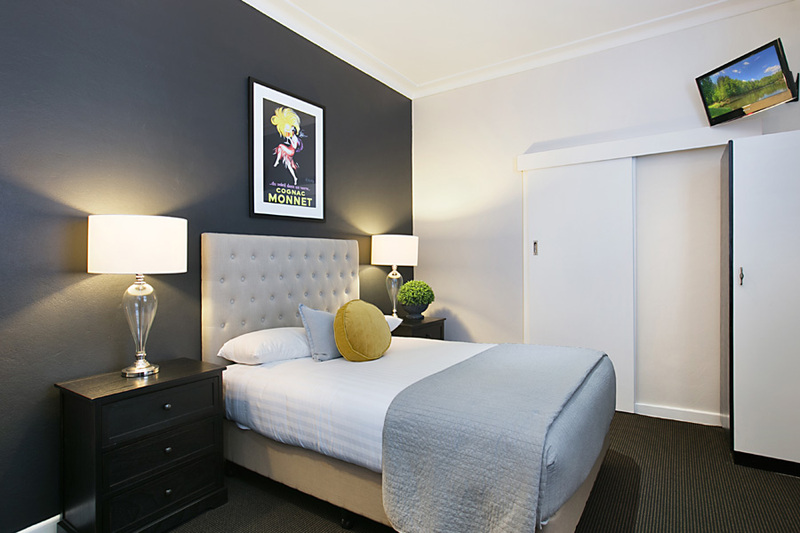 Fronting one of Newcastle’s most prominent streets, BEAUMONT STREET, guests will enjoy our prime location which is only 10 minutes’ walk from the attractions of Newcastle Entertainment Centre and Newcastle Race Course. Within walking distance from our Newcastle accommodation units, guests can enjoy one of the best shopping districts at their doorstep. Guests will be delighted to find Darby Street, Newcastle Wharf, Westfield Kotara Shopping Centre and pools / beaches nearby. At check-in, guests require photo identification and a credit card on the room. Accommodation is payable on check-in and we accept both cash and all credit cards for payment. Room 1 Double Bed and a Single bed (with ensuite Shower/Bath and Toilet). The Room has a color TV Remote control, tea and coffee making facilities, and toaster. This room is air conditioned. Room2/9 Double Bed Room with ensuite -shower, toilet and is air conditioned. The room has tea and coffee making facilities, refrigerator, color TV remote control and wifi. Room 5 Double Bed and a Single bed (with ensuite Shower and Toilet). The Room has a color TV Remote control, tea and coffee making facilities, and toaster. This room is air conditioned. Room 3 Double bed with ensuite -shower, toilet and is air conditioned. The room has tea and coffee making facilities, refrigerator, color TV remote control and wifi. Room 6 Double Bed with ensuite -shower, toilet and air conditioned. The room has tea and coffee making facilities, refrigerator, color TV remote control and wifi. Room 15 Double Bed and 2 single beds with ensuite Shower bath and Toilet. The Room has a color TV Remote control, tea and coffee making facilities, and toaster. This room is air conditioned.